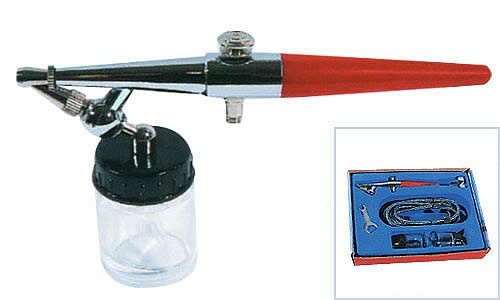 Single Action External Mix airbrush. Press trigger down for air and fluid. External mix gives a larger spray. Comes in a Display Pack which includes 2 Bottles, hose, Accessories, fluid tip wrench.